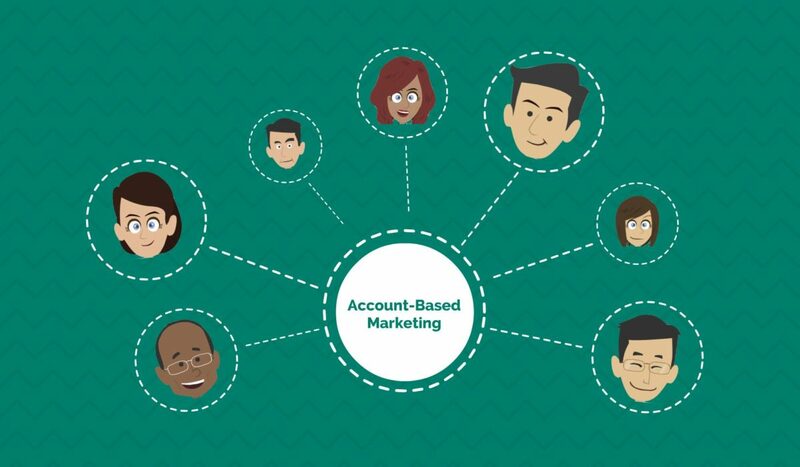 Account-based marketing, a process in which marketers target specific high-yielding accounts with personalized marketing efforts and customized content, is quickly becoming a more sophisticated and strategic method of gaining focused engagement. Through ABM, marketers are able to gain access to more data and new tools that allow for faster personalization of marketing messages. Some marketers use ABM to reach one single buyer while other marketers develop campaigns to reach several key buyers within a specific industry. If you have done any work with account based marketing, you are likely aware that ABM tactics require a high level of personalization and deep engagement. You’re also likely aware that having a clearly defined set of targeted accounts means sifting through massive amounts of data to ensure the right prospect gets the most relevant message as the most appropriate time and the best way. Account based marketing is far from the new kid on the block, but remains the most interesting because it provides a clearly defined goal for your marketing campaigns. It also offers direction for the path your accounts should take. While you may have other goals and progress that you are monitoring, including engagement level and clickthroughs, the key performance indicator of a solid ABM campaign will be the quality of accounts generated, the engagement level of your best accounts, and the revenue growth in each account. To succeed at ABM, you must ensure you are not just focused on solidifying the best accounts in your database, but that key accounts are progressing so they actually turn into a measure of success. Once you secure those quality accounts, ensure they are closely monitored and tracked so the progress made converts into full-blown ABM relationships. When developing your list, think about key characteristics that define who is a target account and who is not. Industry, budget, business challenges (and solutions that you have), and other attributes will help to shape your target account profile and will help to determine who gets on your list. If you have a list already to start with, be sure to check them against your new ABM criteria before proceeding. This is similar to the point above about list development. If you put together a poorly conceptualized campaign, you will waste time, money, energy, resources, and client confidence with zero ROI as the result. Just like data analysts carefully sift through massive amounts of data to ensure the right pieces to the puzzle are found, ABM marketers must spend considerable time shaping a personalized campaign that identifies the business challenges and focuses on the solution. Inbound marketing is set to identify challenges at every stage of the buyer’s journey and engage the potential lead until he or she becomes a customer. Then, that process is followed up with relevant content to increase interaction. With account based marketing, content is personalized upfront to identify specific challenges and present solutions relevant to that specific audience. Email marketing, paid campaigns, and content personalization are just a few of the options available. These best practices will help you to efficiently identify, target, and increase engagement with the accounts you value the most. Of course, every successful ABM best practice begins with having someone on your side who can help you meet your goals. To learn more about how Bython Media can help you identify and prioritize your target audience, perform market research, and develop personalized and engaging campaigns, download our whitepaper today.